It’s been ages since I last posted, so I’ll quickly explain that. Firstly myself, Chris McMath & Daniel Arnold-Mist (my partners on Shanghai for Ludum Dare 29) and Tobias Baumann took part in the 2014 Asylum Jam. That was one weekend of work lost. Then I’ve been searching for a new apartment, taking out the last 2 weeks too. And while I actually had a semi-free Sunday yesterday… I couldn’t get myself motivated so I just checked out Vain Glory (I’ll probably post about that another day) and a little Endless Legend (ditto with the post). Over the last few weeks, something pretty magical happened for me and the Asylum Jam guys. For some unknown reason, our gamejam game went viral! I’d usually say semi-viral as I’m well aware of how massive everything can get on the Internet these days, but our game has had at least 1.6 million views on various YouTube Let’s Plays. To us that’s pretty amazing and the reception to Lullaby has been downright staggering. Multiple Let’s Plays, a Kill Screen article, featured on the PC Gamer website, and just a ton of overwhelmingly positive feedback. Click the image above if you want to check out the game yourself. If you’re too busy, watch a Let’s Play! I’ll link some below. After all the horrid (and quite frankly tedious) GamerGate drama over the last couple of months, these few weeks of wonderful people playing our game and having a great time (and the millions of viewers enjoying it too) has really given us a new perspective on ‘gamers’ and the community. We didn’t do any marketing. 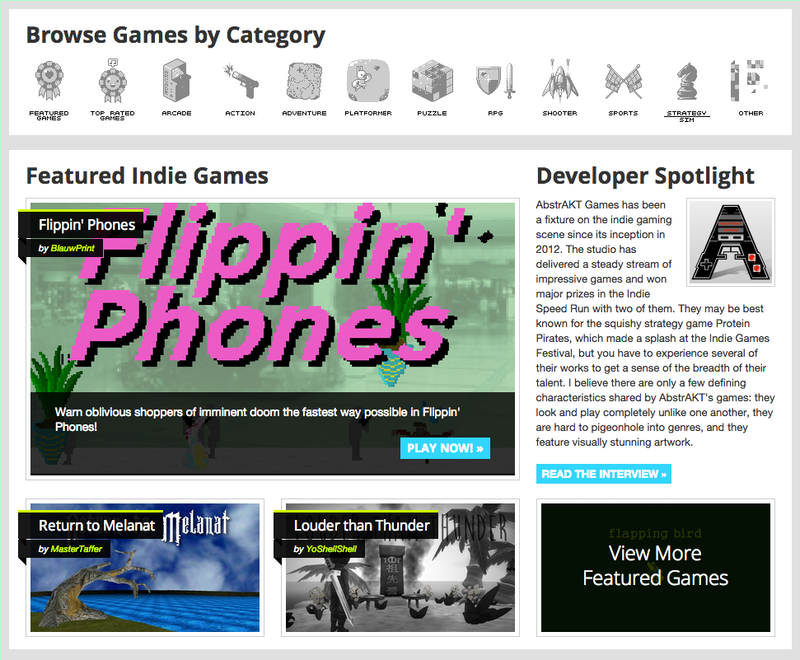 We just posted on the Gamejolt website and the Internet did it all for us. From the first Let’s Play by CDawg (with 2 subscribers at the time) all the way up to Squeezie’s massive 3 million subscriber base, we saw people genuinely having fun and creating entertainment using our game and honestly it was the most satisfying experience I’ve ever had in my short game design career… even compared to when our team at Playfish hit massive revenue targets and engagement metrics for SimCity Social. It’s definitely my first taste of ’15 minutes of fame’ and I’m hoping that one day I can release something with just as much, if not more, support from the gaming community. There are a lot of things to be discussed about this whole crazy 3 weeks (although the first weekend was particularly wild). What a great website. I’m sure the featuring of the Asylum Jam and our very late submission helped a lot (we were on the front page for almost 2 weeks), but it seems that most of the early Let’s Players discovered Lullaby through Gamejolt. It seems that the website, which I’d never heard of until Asylum Jam, is a first-stop sort of place for anyone looking for free games. I can imagine that the writers of the Kill Screen and PC Gamer articles check Gamejolt regularly to see if there’s anything interesting to play.Honestly I’ve read in lots of places that websites like Indie DB are essential to have a presence on, but I kind of dismissed it. How big is the indie game community? Apparently it’s massive, as Gamejolt has proven. Without any marketing we have 3.4k plays for 8.5k views for our tiny 48 hour Gamejam submission… and as you can tell, some of those views spawned Let’s Plays in the millions of viewers.Game discoverability is the most painful part of the industry these days (unless you’re being sent death threats, I suppose) and the experience with Gamejolt has really relieved me a little. I knew Let’s Plays were good. I’ve read in a lot of places that they’re growing in importance. What these few weeks have told us is that they’re incredibly powerful. I’m not sure how much information sharing happens in the Let’s Play community but it appears that from CDawg’s first Let’s Play we received bigger and bigger personalities playing our game. Did they all just stumble upon Gamejolt independently or did they see their rivals playing our game and decide to do one themselves? I’m pretty sure it was the former, but in the case of huge games and personalities like PewDiePie I think there is probably a lot of cross-pollination.Game journalism has had a hell of a lot of issues recently and it feels like Let’s Plays are really the natural format for evaluating whether a game is worth purchasing or not. Unfortunately for Lullaby, we have a very short and linear puzzle game that gets completely spoiled if someone watches a Let’s Play.Obviously Horror helps with Let’s Plays. LPs are not really about the game, they’re about the personality playing them. The game needs to give the personality enough tools to create entertainment for their followers. This is number one. The baby itself is incredibly unique (I never would have thought it, but looking after a baby really hasn’t been done that much). Looking after a child, protecting it from something weird that you can’t explain or stop was the core design for Lullaby. For Let’s Players, this is great because they have a unique game that allows them to show their caring side. No-one wants to see a baby in trouble, so it created a sort of mothering/fathering instinct in everyone that played. In fact, only one person who completed the game in the Let’s Plays left the baby in the house when they escaped… even though there was nothing forcing them to take her. People loved the twist. As a dev team, we kind of added it as a joke. The earliest version of the game was just a regular “you’re the good guy” experience. Then someone joked about a tongue-in-cheek M.Night Shylaman style twist where “YOU’RE THE MONSTER ALL ALONG”. Even though it was a little jokey, we thought it would be a very unexpected twist and a great ending to the game (which would be very anti-climactic without it). It worked. Really well. The Twist is what’s mentioned in almost every positive comment and what changed Lullaby from a good gamejam game into a great gamejam game. The reason why I think it worked so well, and what made it so successful, is that it managed to use a video game narrative in a way that no other media form could do. When you realized you were kidnapping the baby, after spending 10-20 minutes trying to keep it safe… the emotional shock is pretty huge! You thought you were doing good…. you thought you were getting better at saving the child, but you were actually getting better at kidnapping a child. It was nice. Overall these 3 points created a game that really worked well with Let’s Plays. It was unique, it allowed unique emotional reactions, and everyone likes seeing a ‘mind blown’ incident live on camera. While we’ve discussed doing more with Lullaby, I’m not sure if any of us really have the time or motivation to work more on it. Turning it into a full game would be a pretty gruelling experience. We’d need to create a new environment that has more than just ‘find a key, unlock a door’ mechanics. The design of the Darkness and how difficult the game is would have to be much better. We made the darkness just come from the parents’ bedroom at the end of the hall, but that made the game way too easy when the baby was placed downstairs in the kitchen. Just one small example of major systems changes. Don’t get me started on how much work it would be to animate the baby, the darkness, and overall polish of the entire environment! Perhaps we’ll do something with babies again, or horror placed on an NPC instead of the player character… but I don’t see Lullaby 2 happening any time soon. < Previous 2 week update + Asylum Jam!